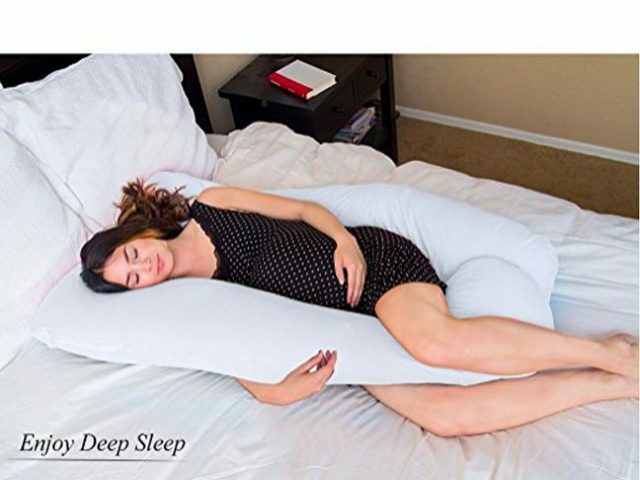 Now that you’re pregnant, you deserve the best pregnancy pillow. Once I got out of the first trimester, I noticed my back seriously starting to ache when I’d lay down for long amounts of time. And (I hate to break it to you) that feeling only gets worse as your pregnancy goes on. As in, there was no pillow in my house that could make everything from my back and my tummy to my neck and my knees all feel comfortable at the same time. Which is why I could practically hear angels singing when I finally got a seriously awesome pregnancy pillow. A pillow that curved around me, snuggled me, and helped me sleep and stay supported throughout the day. 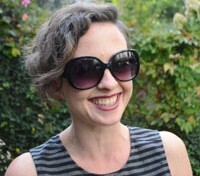 In fact, when my pregnancy was over, I was kind of sad when my husband suggested it was time to pass the pillow on to a newly pregnant friend. (Damn, I loved that pillow!). 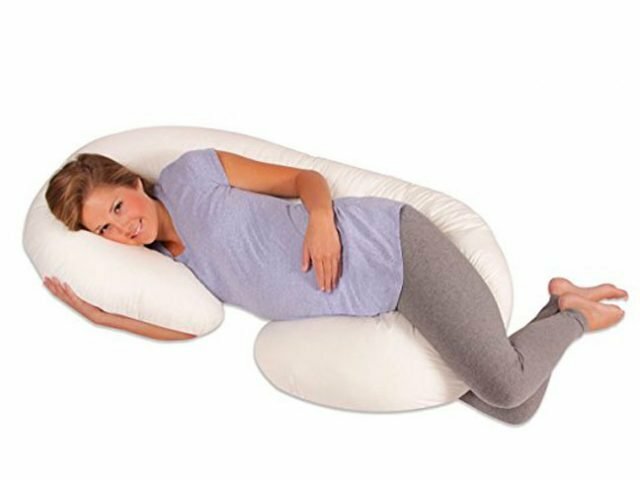 Whether you have back or neck issues, you’re a diehard stomach sleeper, or your apartment is just too tiny for something massive, we’ve got a roundup of the best pregnancy pillows on the market. There’s seriously something for everybody, no matter your budget, size, or ache. While you’re looking, here are a few factors to keep in mind. Look for a pillow that is washable (ie, has a removable cover), and if size is an issue for you, keep in mind that many pregnancy pillows are quite bulky (like, their-own-solar-system bulky). Another important factor is filling. Pregnancy pillows can be filled with anything from styrofoam or memory foam, to polyester, feathers, and organic materials. Make sure you choose a material you’re comfortable with. For instance, styrofoam is comfy but will make a slithery noise when you shift positions, whereas some materials, like polyester, may not be as breathable, causing you to sweat more. Now that you’ve got a few items prioritized, have a look at this list and get ready to have the best preg-night’s sleep ever! 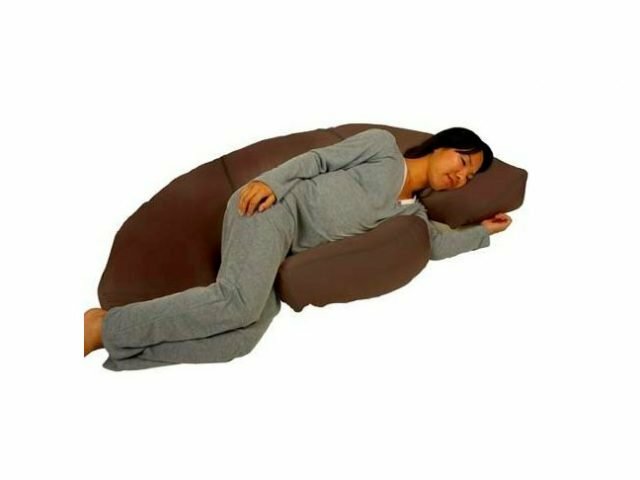 This C-shaped Boppy Slipcovered Pregnancy Body Pillow is quite soft and easy to adjust to fit to the contours of your body. A great choice if you need a bit of realignment, and handy if you want to carry it from room to room, or in the car for additional back, neck, or tummy support. Washable cover: yes (and washable pillow). Filling: virgin fiber. 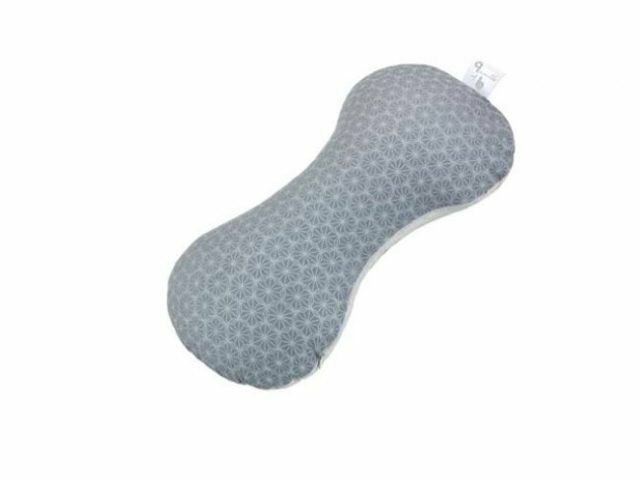 The Moonlight Slumber Comfort U Total Body Support Pillow ain’t cheap, but it will be heaven on your back during those achy months of pregnancy. 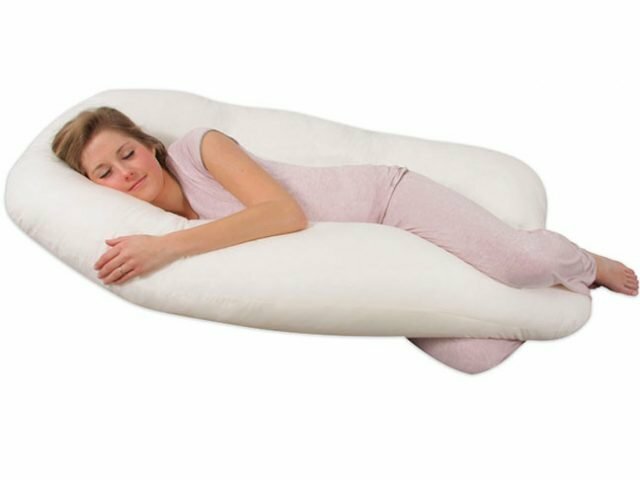 This U-shaped pillow will help align your body and stop it from getting out of whack while you sleep, and may help alleviate symptoms of sciatica and other causes of lower back pain. Washable cover: yes. Filling: synthetic down. 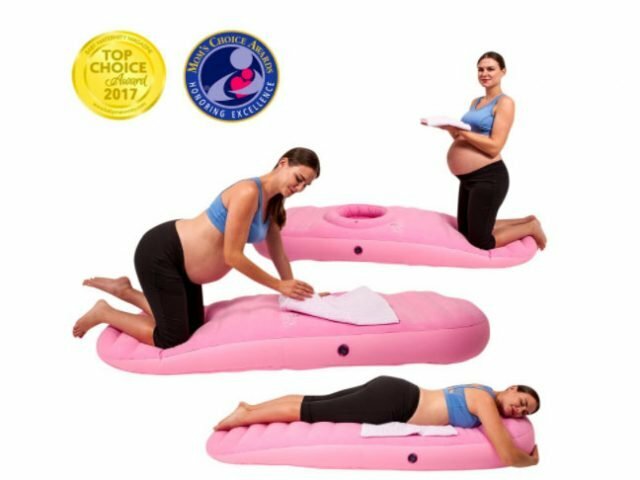 If you’re pregnant with twins, the Leachco PreggoPedic Contoured Maternity Body Pillow may help give you that added bit of support. This modular pillow comes in a C-shape and includes an additional four-way adjustable bumper to help contour your body in a variety of ways as it grows and shifts over the months. Washable cover: no. Filling: polyester. One of the best things about the Babymoov Multiuse Ergonomic Maternity Pillow, is that it will carry you through from pregnancy to motherhood! Once you’re done cradling your bump or relieving back and hip pain, you can use this small, contoured pillow to help you nurse or just cuddle with your baby. Washable cover: yes. Filling: polystyrene microballs. Side sleepers will love the U Shaped Total Body Pillow by Meiz that molds around the contours of your body like a glove. By cradling your entire upper body, side sleepers will be comfortably wedged between the two sides of the pillow, keeping them in place for a restful snooze. Washable cover: yes. Filling: polyester fiberfill. And by small space, I don’t mean your growing bump! 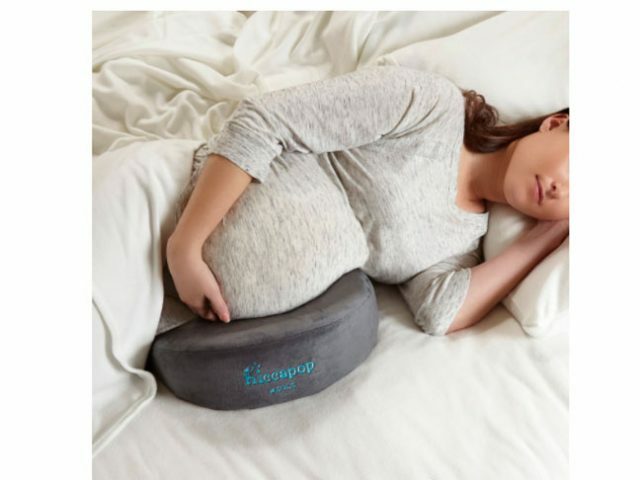 The Hiccapop Pregnancy Pillow Wedge for Maternity is not only super comfortable memory foam support for your bump, back, hips, and knees, but it’s also quite a dainty little wedge if you’re worried about a pregnancy pillow taking up a lot of space in your apartment or house. 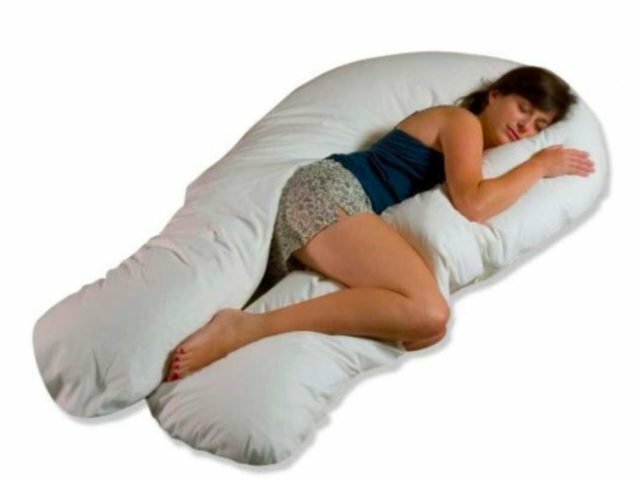 Plus, this pillow’s two-sided design allows for softer or firmer support as your body changes and grows. Washable cover: yes. Filling: memory foam.